HOW TO REMOVE CALCIUM DEPOSITS ON REACTOR MESH? Ca+ with polarity may bond onto the surface of Reactor. Calcium may leach from the stone layout aquarium, or calcium concentration will increase in shrimp aquarium because shrimp feed contains calcium. In this way, the calcium concentration of water will increase. As a result, calcium will be absorbed onto the surface of the Reactor. There are also other factors that can cause calcium deposits to form. Please use the following way to remove them. Add a packet of TWINSTAR Cleaner into a cup filled with boiling water. 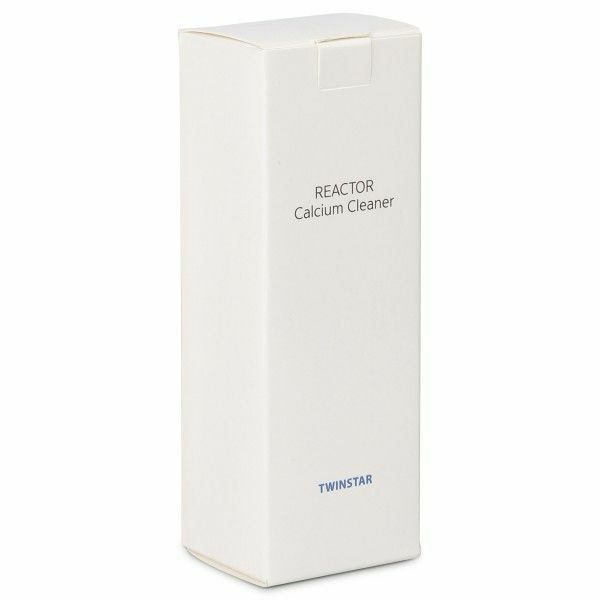 Once the Cleaner has been dissolved completely, soak the TWINSTAR Reactor into the cup and wait until the calcium is completely removed. Discard the solution.